Welcome to the debut edition of The Rocky Maivia Picture Show! Nate Milton realizes that he can’t “Stand Alone” on his first episode, so he invites Brian Mann (Complex, “Keep It 2000”) into the theater to review Dwayne Johnson’s first major foray into the movie business, 2002’s The Scorpion King. The guys discuss DJ’s strengths and weaknesses as a leading man, reveal Vince McMahon’s role in The Rock’s early films, and finally settle the age-old “camel vs. horse” debate! 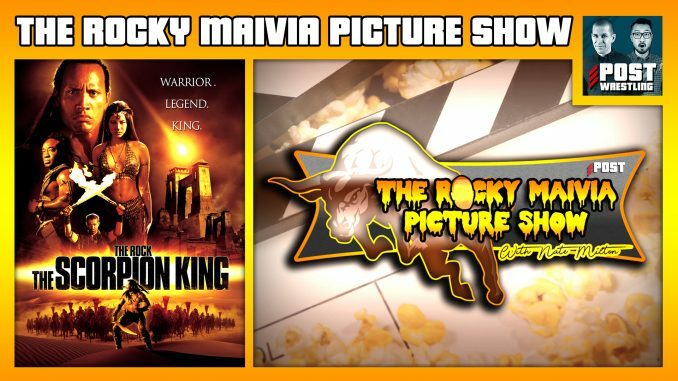 The Rocky Maivia Picture Show is a monthly movie review podcast that drops every 3rd Saturday on POST Wrestling!